Thoroughbreds are tall horses typically known for running races. 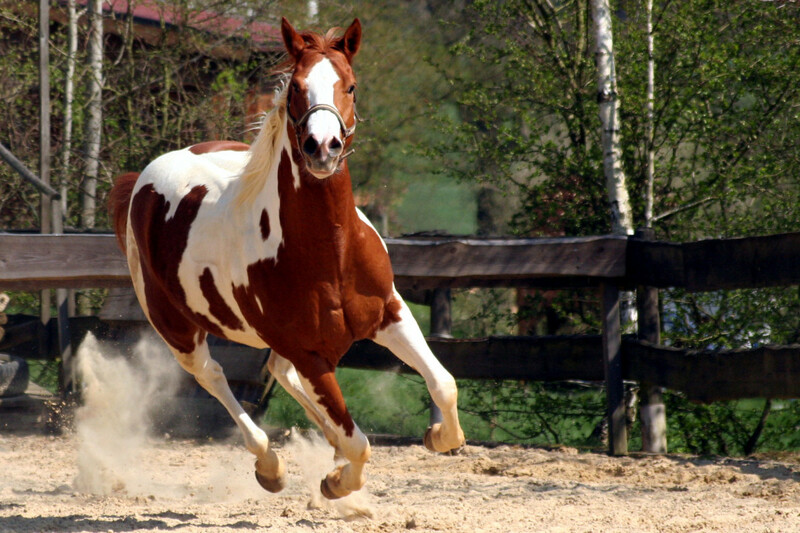 They are bred for speed and are easily able to take the turns of a barrel race. Their colors can vary from bays to dapple grays and all the way to the rare whites. Sometimes they do not have toes, which can make things easier or harder. Rasping once a month is easier, but needing a wedge for shoes is harder. Thoroughbreds run wonderfully, but are hot-tempered. Working with a thoroughbred takes a lot of effort. The flashy colors and markings of the Paint Horse bring tons of attention to the arena no matter what class or road they are on. They are fast runners and great turners. They are mostly low-maintenance, even-tempered horses. Paint Horses are the easiest to train and a good breed for any rider. Much like Paints, Quarter Horses are an even-tempered breed, which makes training relatively easy. They vary in color and can have paint markings sometimes. 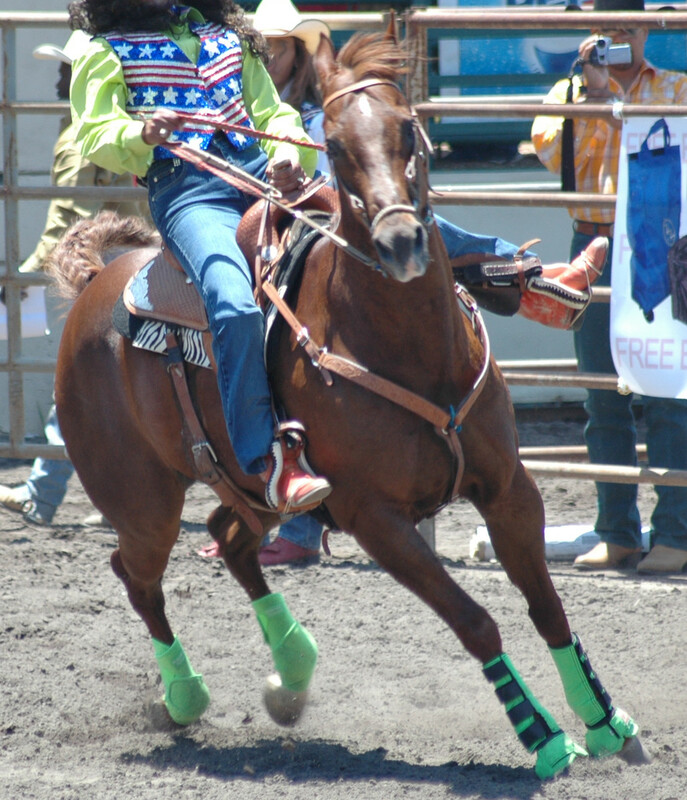 Quarter Horses often have their own shows that include speed events. The Appaloosa is a lovely breed of horse that has its own racing events. A good breed for kids. 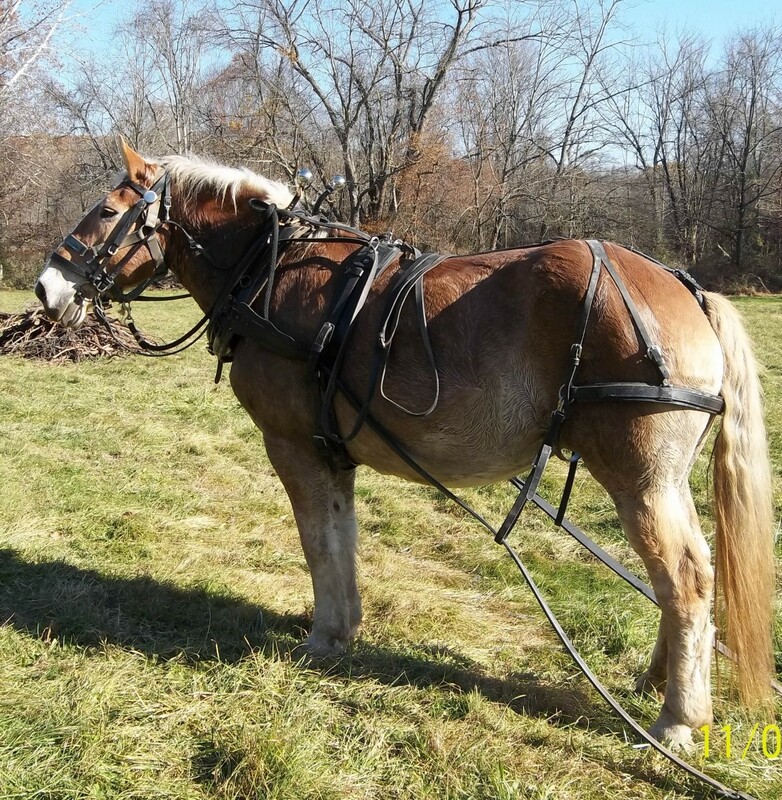 Grade Horses are horses of unknown or mixed ancestry. Backyard-bred horses are the ones who can often surprise you the most. They can have any colors or markings and their tempers can be a bit out there. Grade horses are the ones who can be your best hope for any event you want. In my opinion Quarter Horses are the best because you rarely see a thoroughbred winning the NFR.But Not saying Thoroughbred are bad. 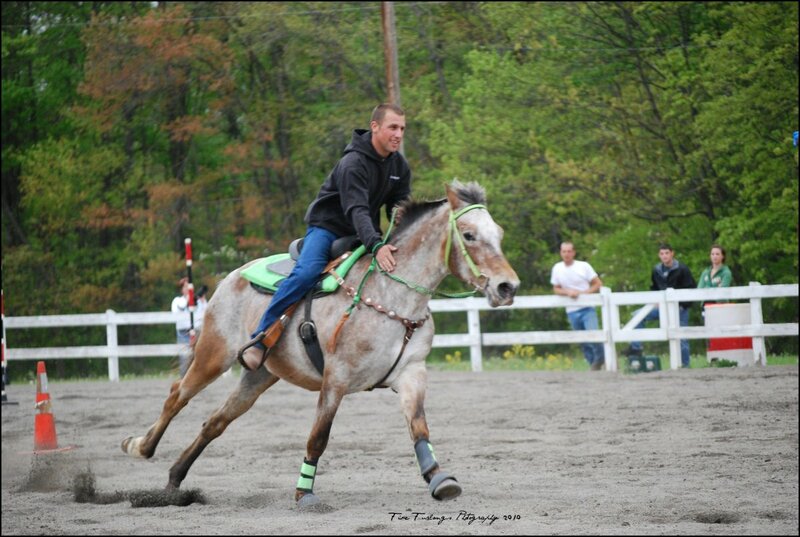 In my opinion, any horse can barrel race (ETC) if it is trained to do so. 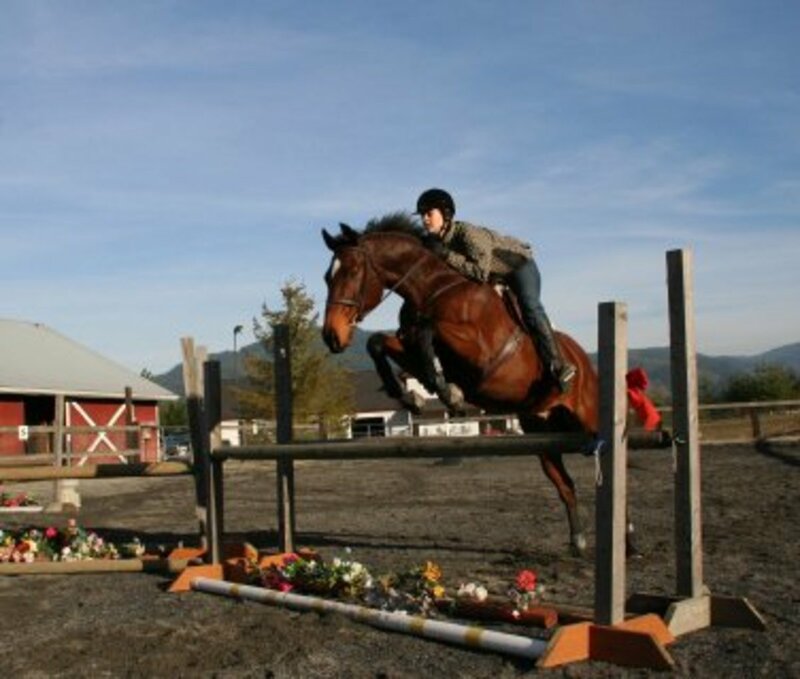 My TWH has proven to be really good at barrels and poles, she even jumps a little for trail riding. APHA, is a breed registry, It was originally started to register, quarter horses that did not meet inspection requirements. They have evolved through the years, to include, thoroughbred, guarter horse and Arabian blood, but they must have certain color paterns to qualify, or can be registered as breeding stock, if they have at least one regestered paint parent. Look on the APHA weeb site for requirements. I have a paint horse but my grandpa owns a huge horse racing farm but personally i think that the best barrel horse is the paint mine is black and white. 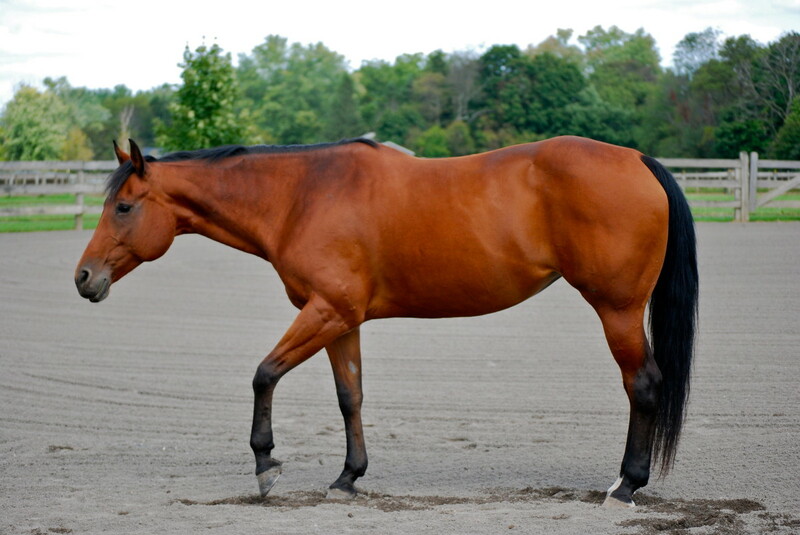 thoroughbreds can make great barrel horses if you have the patients to train them right. 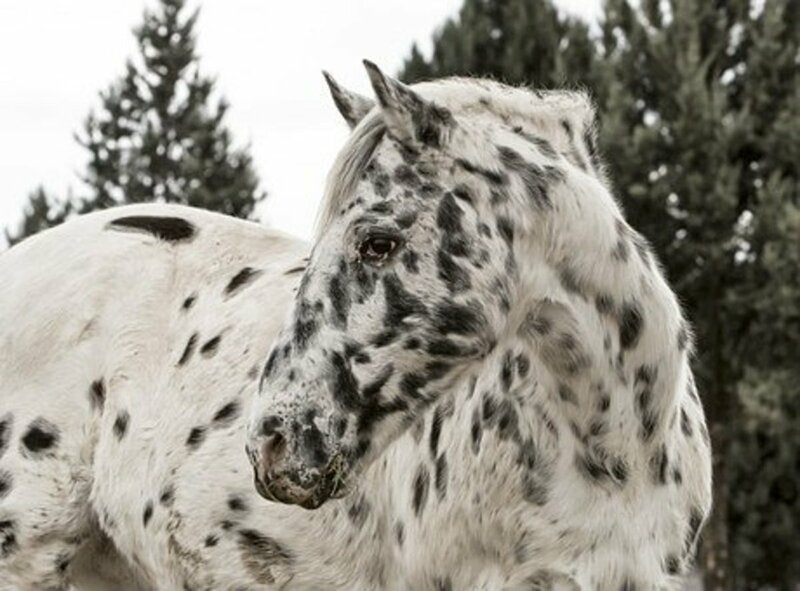 and paint horses are a breed not just quarter horses with spots so if your going to right a comment make sure you have the facts and not just saying what you think. I have a QH he's really fast but I don't know if he's good on turns and I don't have any barrels is it ok to use other circular items to replace for the barrels??? Different strokes for different folks. I had a thoroughbred i used for barrel racing for many years. She was a lean,mean running machine. She made time going from the third barrel on home. I won buckles and all sorts of tack off of her. I cant say i would use another thoroughbred for the barrels, she had her pros and cons,but i am enjoying my quarter horse. Paint horses are a breed. 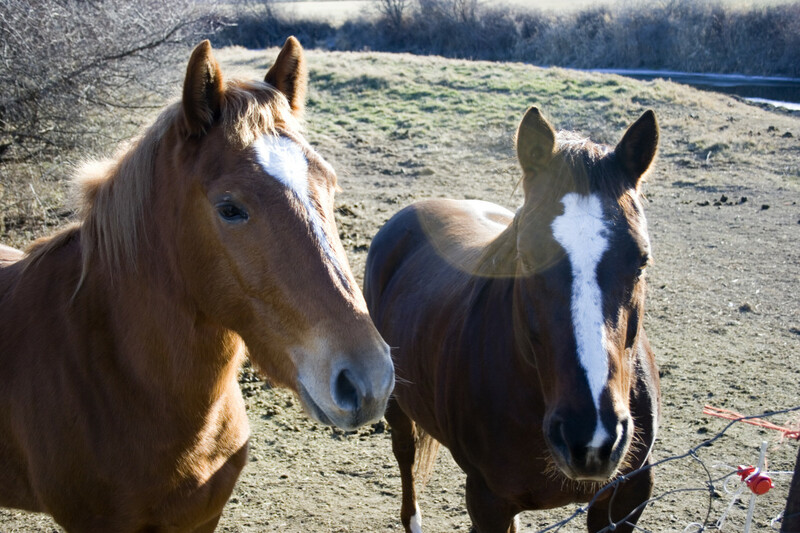 Pinto and Palomino are colors. Paints are different from quarters. They have different tempers. 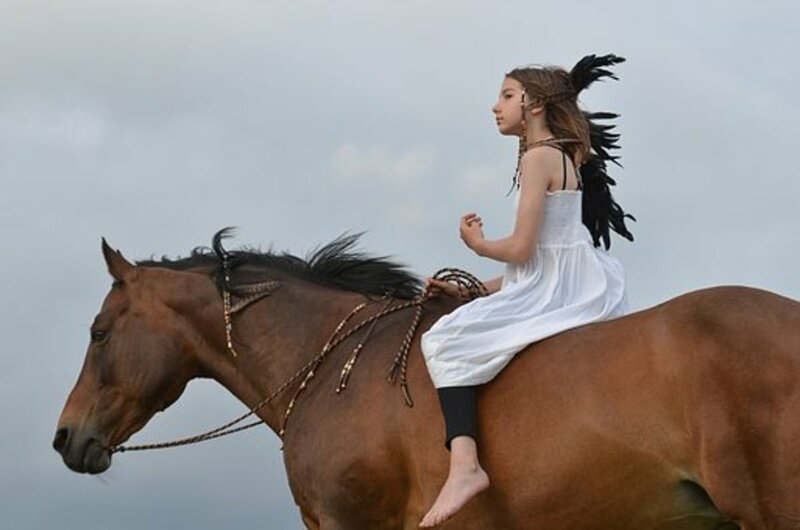 I have never met a paint the didn't try your skills as a rider, unless hey we're lesson horses of course. 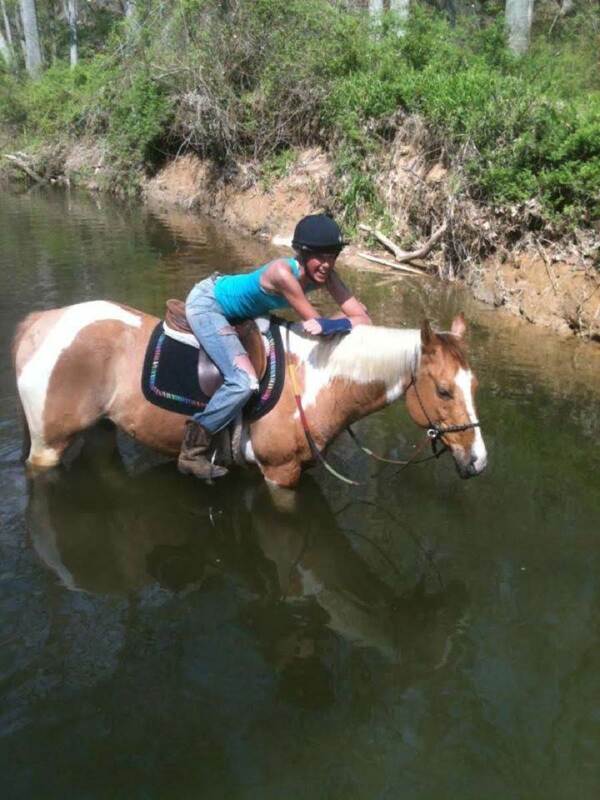 Thoroughbreds make great barrel horses i own one and trained her myself. People doubted me and Dream but swe proved them wrong shes running times at the 1D level. A paint is not a breed--its a color! The "paint" color can show up in virtually any breed. I disagree that paints and QHs are easily trained. I have worked with several and find them to be very stubborn and obstinate. My choice is Appaloosa all the way! Actually I had a thoroughbred and she was a great barrel horse. She was 17.3 h and would come as close to barrels as any QH. If you haven't actually ridden a thoroughbred as a barrel horse then I wouldn't say they make bad barrel horses. ummm actually thoroughbreds are great barrel racers because not all thoroughbreds are tall and even the tall one can do it. It matters how u train them. 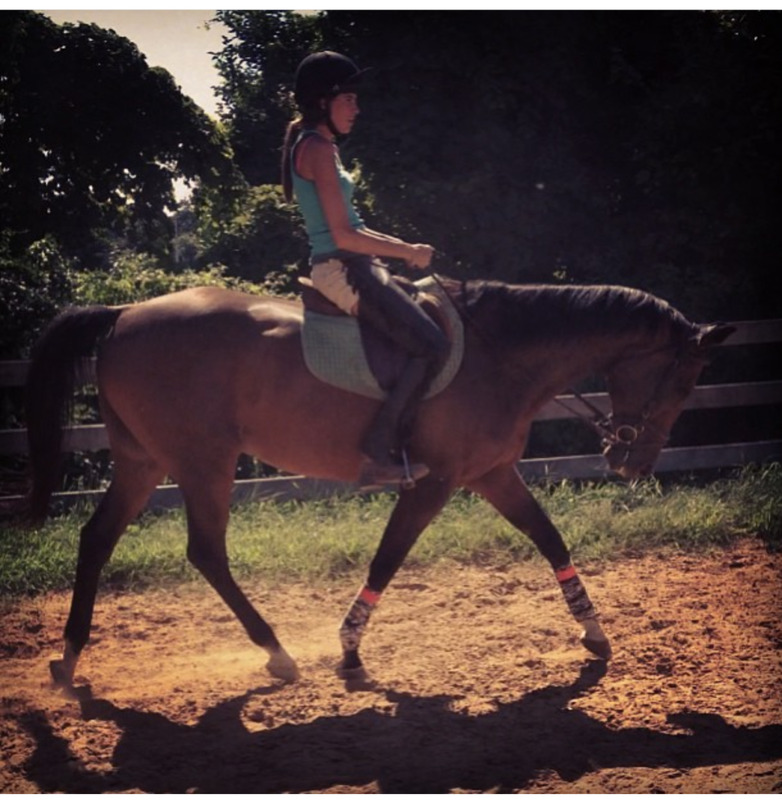 My trainer rides one and she is coming along really well! and the horse had been on the racetrack first and then my trainer got her! Actually, Rae, I disagree with you on the Paints are actually Quarter Horses. They are not. If they were, they would be called Quarter Horses, not Paints. Quarter Horses can be brown, black, grey, whatever color, that doesn't matter. The point is, Paints are not Quarter Horses, and Quarter Horses are not Paints. Thoroughbreds can make a good barrel horse. It just depends on how much time and patience you have to work with them. I have a abused off the track racehorse. He's a lot of power and he will be great so the haters should just be quite all you have to do is train but some people are just lazy or don't have time to see how good they are. I think instead of thoroughbreds you should have listed appendix. 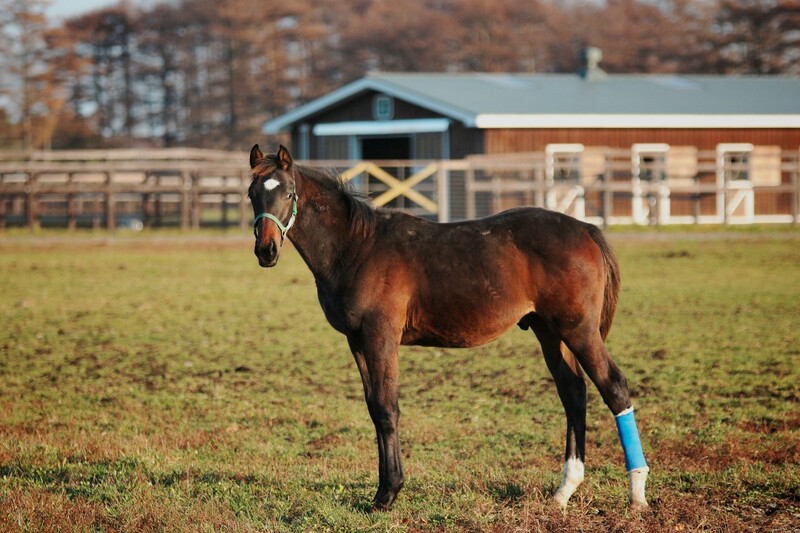 For those that don't know what an appendix is it is a mix of thoroughbred and quarter horse. Also, a paint is just a quarter horse with color. They are the same horse one just has more white than the other. Thoroughbreds are not good barrel racing horses at all. My uncles and my cousins and I ride and we know that they are not good barrel racers unless you like not being close to the barrels and getting a worse time. Thoroughbreds are NOT good barrel racers. Their legs are far to long and they'll have trouble getting close to the barrels. 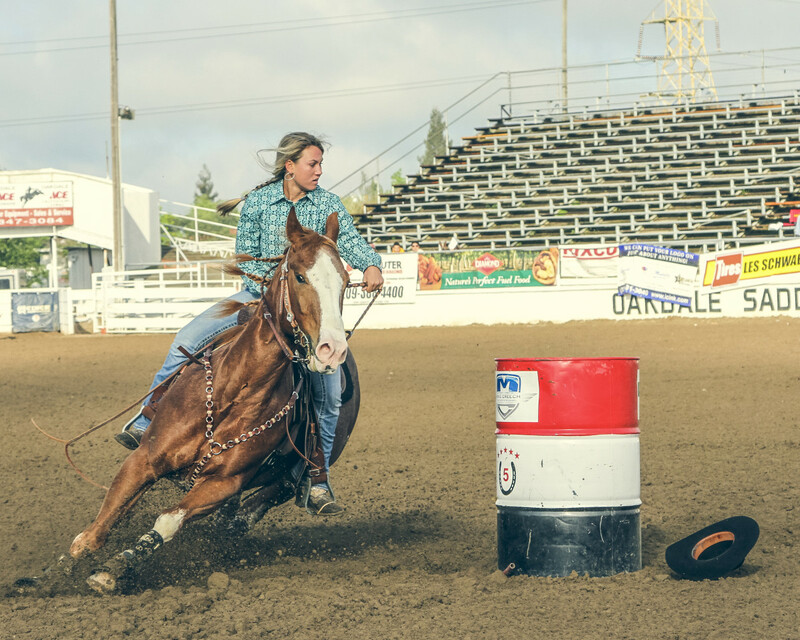 They're okay for barrel racing if you don't want to get close to the barrels. But they're mostly better for english riding. Quarter horses are the top breed for barrel racing. That's a fact.